AI.1 Physicians and the Ontario Human Rights Code was adopted in 2008.1 The policy was slated for review by September, 2013, but a public announcement of the review was not made until June, 2014. AII.1 As part of the review process, the College surveyed 800 Ontario residents in May, 2014 "to capture public sentiment on conscientious objection in the health services context." AIII.2 The first stage of a public consultation about the policy closed on 5 August, 2014. 71% believed that physicians should not be allowed to refuse to provide a treatment or procedure because it conflicts with the physicians' religious or moral beliefs. AV.4 Appendix "C" demonstrates that this summary was inadequate and misleading. AV.6 The working group asked the Council for feedback on the document and asked that it recommend that Professional Obligations and Human Rights (POHR) be released "for external consultation." Council agreed. AVI.2 The Supreme Court of Canada announced that it would release its decision in Carter v. Canada on 6 February, 2015. It was widely expected that the Court would legalize physician assisted suicide and euthanasia. 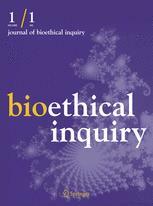 Media reports took note that Professional Obligations and Human Rights (POHR) would compel objecting physicians to refer for euthanasia. Interviewed in anticipation of the ruling, Dr. Gabel did not deny this. AVI.4 Appendix "B" demonstrates that, apart from Quebec, this claim is seriously misleading. 1. College of Physicians and Surgeons of Ontario, Physicians and the Ontario Human Rights Code. Approved by council September, 2008. To be reviewed by September, 2013. 2. College of Physicians and Surgeons of Ontario, Council Briefing Note: Professional Obligations and Human Rights - Draft for Consultation (For Decision) (December, 2014). In Annual Meeting of Council, December 4-5, 2014, p. 330. Should Religion be Evicted from the Public Square?